I know I’m a day late, but hopefully that won’t matter. Thank you to everyone who joined up in the last fortnight. It worked really well, so I’m going to move this to a fortnightly linky, hopefully giving more people chance to join in, and leave their lovely comments on other posts. 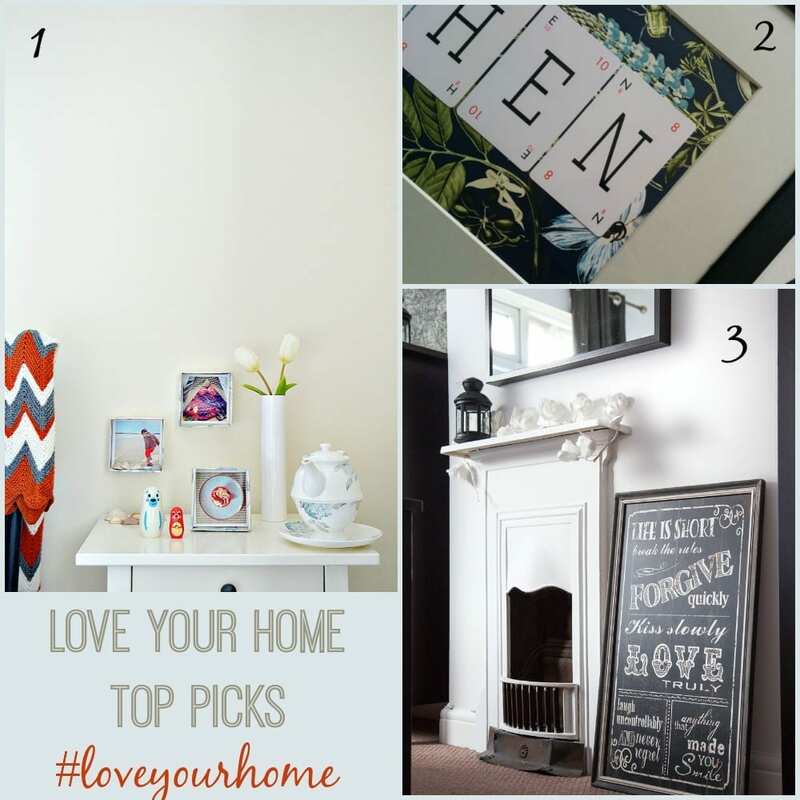 I apologise that the badge code wasn’t working, but hopefully I’ve fixed it this week, and thanks to those who gave my blog and #LoveYourHome a mention anyway. This week’s Top Picks are just gorgeous. There were some many too choose from, I was spoiled for choice, but hopefully you like my favourites. So, over to this week’s linky. If you’ve written a post that relates to the home or garden in the last week or so feel free to add it to the linky. It might be a review, a makeover, or considerations for a makeover. You might be showcasing some fabulous products you’ve discovered, some great designs you love, or simply rambling about the lack of storage in your home. It’s pretty simple, if it is home or design focused, add it to the linky. Don’t forget, all included posts will be shared on Pinterest in the Love Home Bloggers Pinterest board, and I’ll do my very best to comment on and tweet them all too. 1. Link up one of your Home and Interiors blog posts from the last week or so using the linky tool below. I enjoyed reading everyone’s posts, and am particularly pleased that I have finally worked out how to ‘grab the linky badge’, so it is finally on the post on Container Gardening For Year Round Style! The key, in case anyone else gets muddled like me, is that if you copy the text code, then you have to have your WordPress dashboard in ‘text’ mode rather than ‘visual.’ I suspect most people know this, but it’s taking me longer than most to get to grips with the technical side of blogging. Thank you, Jen, for running this Linky. I’m so happy you liked my styling post. I’m trying to get better at things like that rather than just throwing any old thing in place. Thanks Rachel, it’s not something I can get my head around – need some lessons! Love your favorite picks. I am glad you made it a fortnight linky as I only write about interiors every other week and food the opposite trying to find balance in my blogging. Sorry I have been absent for awhile. Never seem to be able to keep up these days with two toddlers on my hands now. lol Thanks for hosting darling.